Justin Trudeau: "Trade needs to work for people"
"Ceta is not only about commerce, imports and exports, about profits. 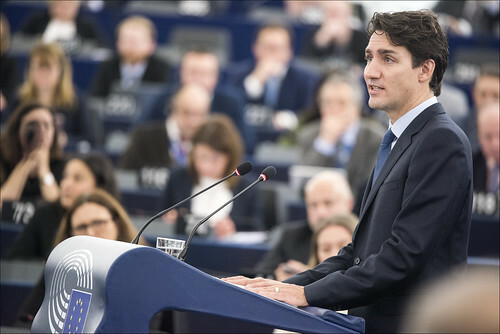 It aims to improve people's lives," said Canadian Prime Minister Justin Trudeau, while addressing MEPs in Strasbourg on Thursday 16 February, one day after the the European Parliament approved the EU-Canada trade agreement. This photo is free to use under Creative Commons licenses and must be credited: "© European Union 2017 - European Parliament".